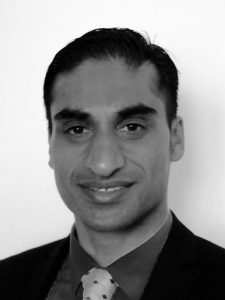 Zahir Mahomed is a seasoned financial services professional with deep technical skills in credit, structured finance, project finance, leveraged finance and deal making coupled with local and global equity research. He has worked on many large transactions with deal sizes of up to ZAR20 billion. Zahir garnered his experience at industry leading organisations such as Standard Bank, Barclays Africa Group and Oasis Group Holdings. Zahir obtained his B.Com (Accounting Sciences) (Honours) degree at the University of Pretoria and his Post Graduate Diploma in Accounting & Auditing through RAU and UCT. After completion of his traineeship at Deloitte he was admitted as a Chartered Accountant. His previous role was at Standard Bank, where he headed up the Structured Lending team. In July 2015, Zahir was appointed Managing Director of Quince Capital. Attie has extensive knowledge in risk, collections and recoveries. He joined ABSA in 1988 and held numerous positions in the organization. He then founded off- balance sheet recoveries in ABSA and successfully completed the first ever debt sale on behalf of ABSA. The last position that he held at ABSA was National Manager Collections Vehicle and Asset Finance. 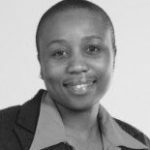 Sizakele has more than 10 years experience, post Chartered Accountancy (CA) qualifications. She has worked in numerous roles, both financial and business operations covering sectors such as accounting and auditing, financial services, government and business coaching. In January 2015, she was appointed as Financial Director at Quince Capital. Lindelwe has a strong legal background having studied her B.Proc LL.B at the University of Durban-Westville and later the University of Natal to do her PLT. She has had work experience in sectors such as government, manufacturing and now corporate. Her strengths lie in Labour law, thus her role in HR over the last 10 years. On the 1 August 2011, she was appointed to the board as HR Director to add strategic value to the board and the company. Rudi started his career as an assistant collections clerk at Santam Bank in 1989. He held numerous positions within all aspects of the finance process and ended his 19 year career at ABSA Vehicle and Asset finance as a Regional Manager. In March 2009 he was appointed as General Manager Marketing and Sales at Quince Capital.